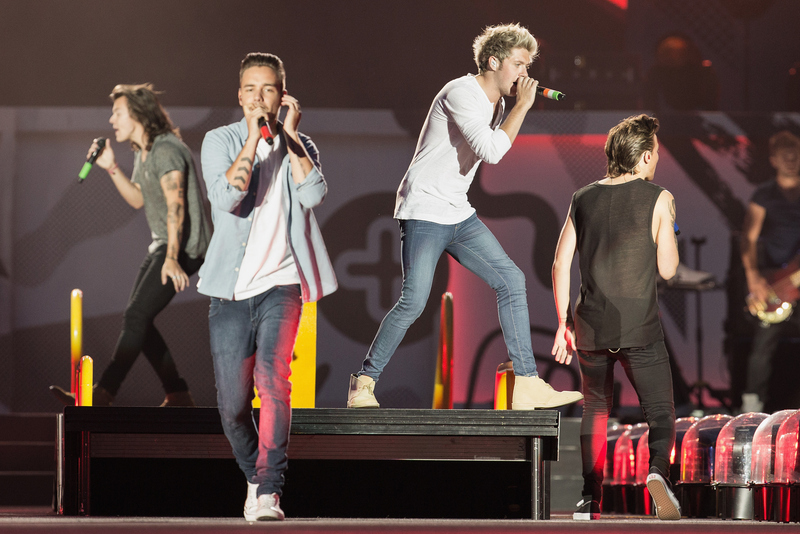 Real talk: Is it possible that One Direction aren't going on a hiatus just yet? I don't mean to give any 1D fans false hope here, but maybe we should all slow our roll for a second and examine some evidence that might refute claims that One Direction are disbanding in March 2016. There is still a chance they'll be around a while longer. First of all, news of the group's allegedly impending split was initially reported by The Sun, which could really go one of two ways here. One Direction clearly have a relationship with the publication, since The Sun has gotten numerous legit One Direction exclusives throughout the band's entire career (including Zayn Malik's coveted first post-1D interview). But they've also been wrong about things in the past, like when they've claimed that One Direction are disbanding, only to have the band's rep deny it later. Then there's One Direction's publicist, Simon Jones, who, according to Billboard , "refuses to comment on speculation." Of course, it's important to note that he didn't flat out deny the rumor that the band is going on hiatus (as a rep for the group did last time), but he didn't confirm it either. Maybe the band wants to announce it when they're ready. Maybe they don't want fans to get all worked up about something that hasn't been confirmed yet. Maybe their rep is sick and tired of commenting on completely unfounded BS. Or maybe it's just not true. No one knows for sure except for the people in the group's camp, so until there is an official announcement à la Malik's departure, we're just gonna have to sit tight here and wait. Then there are Billboard's sources — "sources close to the band" — who "dismiss the story as nonsense," the site reports. Billboard Associate Editor Jason Lipshutz also tweeted that he talked to a source who claimed it's "all tabloid BS," and urged 1D fans not to "buy into the rumors." The tweet has since been retweeted over 3000 times. That all being said, however, I would not be surprised at all if One Direction were to take a hiatus at some point, and some point soon. And yes, most likely after their fifth album, which is set to drop in November, is released. Not only will Louis Tomlinson be gearing up for the birth of his kid (his baby is likely due in January), but let's face it, the guys have run themselves ragged from constant touring, promotion, and recording and releasing an album per year. Even Liam Payne admitted that they need a break! Still, going on an indefinite hiatus in March 2016 would give the guys time to promote their fifth album (and based on "Drag Me Down," it's set to be one of their best). If the rumors are, in fact, true, both The Sun and People report that the guys will not tour for this album and instead just do promo through February. And yes, "hiatus" might sound like a scary word because it's reported that it will be for "at least a year" and may be indefinite, and we, as fans, don't know what's going to happen in the future. Zayn Malik quit the group because One Direction's music wasn't "real to him anymore," but it's possible that if each of the guys works on his own solo career, maybe they'd be able to come back together and create music that they all find meaningful. Each member of One Direction all started off as a solo hopeful first, only to all be brought together as One Direction on X Factor. And now with the wild success of 1D under their belts, they all deserve that chance to go out and make it on their own.